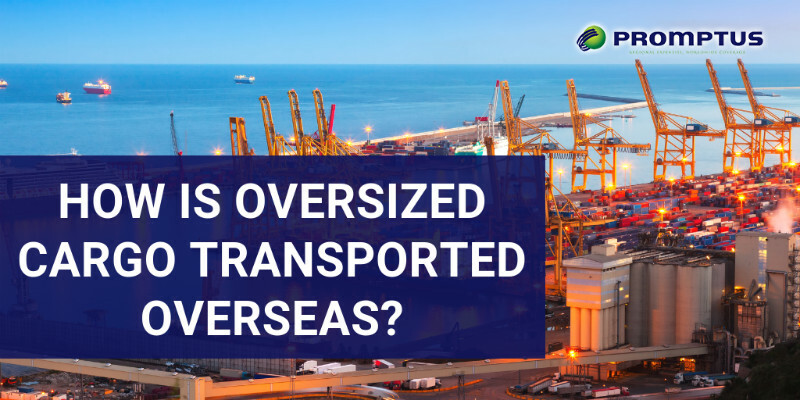 How is Oversized Cargo Transported Overseas? Do you have a large amount of cargo that you need to ship internationally? Are you having trouble finding options to transport your merchandise? Promptus, LLC is here to assist. Instead of worrying about the logistics of exporting your goods and wondering whether it is too large or will incur additional fees, trust in our professionals. We offer freight forwarding services to help you coordinate shipments both big and small, which leaves you free to take care of business. First, let’s define what exactly is considered oversized, heavy cargo. Generally, oversized cargo has a different definition based on the mode of transportation you are using. For over-the-road trucking, oversized goods are defined as any load whose dimensions exceed 8.5 ft in width and 13.5-14.5 ft in length, however for ocean transportation any piece of cargo that does not fit in one 40’ or 45’ container is considered oversized. The weight of the cargo, on the other hand, does not have strict parameters that specify whether it is considered “heavy” or not. However, when organizing the transport of cargo by land or sea, there are limits on how much weight a particular equipment can carry. Countries and states can also dictate weight limits. Every day thousands of oversized and heavy pieces of cargo are transported via land and sea worldwide. But exactly how do they make it overseas? How does the Megabus from Germany make its way to highways in the United States? Or how does the giant dump truck made in Peoria, Illinois end up in the mines of Peru? 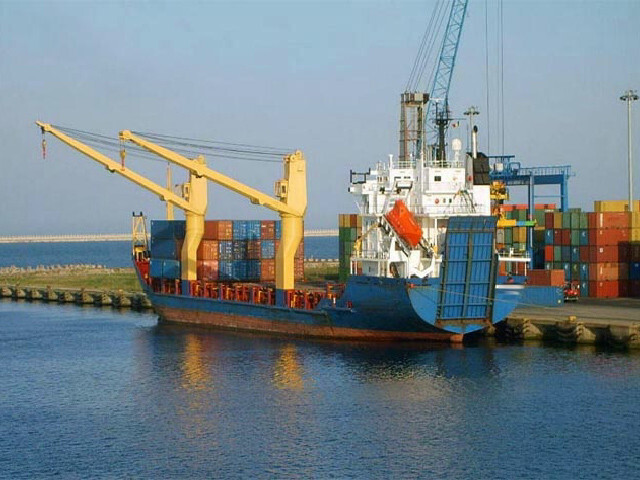 Using specialized equipment and vessels that have become useful when moving oversized goods, companies can transport items virtually anywhere there is an applicable port. These carriers are the best option when it comes to the transportation of large cargo shipments. The below deck warehouse featured on the ‘roll on/roll off’ carriers is favorite among transporting motor vehicles like dump trucks, back and front loaders, motorhomes, buses, and other similar large automobiles. This is because this option offers ease of access, unlike other transportation options. Typically, these vehicles are driven straight into the hull of the vessel, where workers secure them for travel. 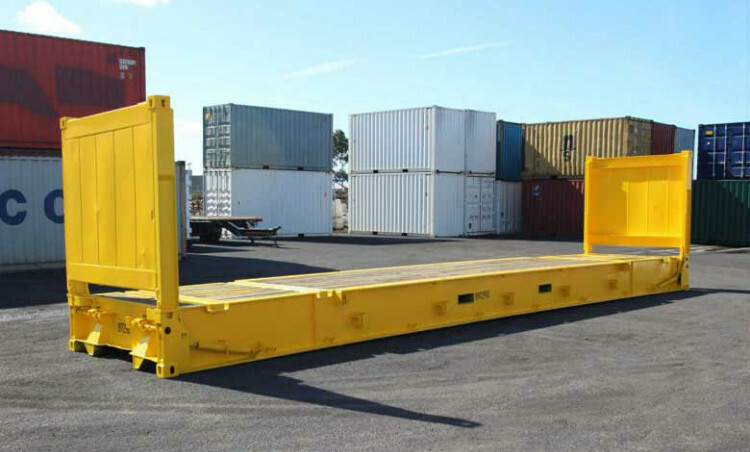 Other types of cargo – for example, items that can’t be driven or propelled – are loaded onto the roll on/roll off carriers using a MAFI trailer, which is a rolling platform that can be towed or pushed by a tractor. Using the MAFI, the cargo can be loaded on an off the ship quickly. The flat rack is another tool that logistics companies use to load oversized cargo onto a vessel. It is, as the name describes a flat surface without any walls or roof, which allows the necessary flexibility required to move goods that have a height or width that extends beyond conventional container capacities. These flat racks can be driven directly into the hull of the vessel, as well. Not all heavy and oversized cargo is shipped using roll on/roll off vessels, some freight is even too large to fit on these, or the cost of accommodating them is just too high. That doesn’t mean there is no way to transport them, but rather than you must use a different method. Typically, cargo that is too large for even the roll on/roll off vessels can be loaded using the LOLO method. The term refers to ships with onboard cranes that are used to, quite literally, lift the cargo from the holding area and load it onto the vessel’s deck. It can be difficult to arrange a shipment that has oversized cargo. If you don’t find the best shipping method, you may end up spending an exponential amount on transportation – or worse, on fees. Instead, trust the experts. Our team of freight forwarders has over 15 years of experience that can help you import or export your items internationally. We also offer Customs Brokerage to assure all of your paperwork and documentation is accurate before shipping it off. For help navigating massive shipments, contact us today to receive a Free Quote! Do You Know How Your Cargo Moves Overseas?